If you follow me on Facebook, Twitter, or Instagram, you'll know that in addition to my two humorous picture books coming out later this year, I also have a love story that has been acquired for publication. LUCY'S BLOOMS is picture book about the magic of childhood firmly rooted in unconditional love. Dawn Prochovnic: Thank you for stopping by to talk with me about your mother’s book of haiku poetry, Amy. It’s a lovely book, and I’d welcome the opportunity to hear from you about how it came to be. I’ve read in other interviews that your mother, Sydell “Syd” Rosenberg, had long wanted to publish a children’s alphabet book of her haiku poems, but that she was unable to accomplish this goal before her sudden passing in 1996. When did you decide that you would work to fulfill this goal of your mother's on her behalf? Amy Losak: The idea itself – to try and publish mom’s poetry for children – was first voiced at her funeral in October of 1996. If I remember correctly, it was my sister-in-law, Debbie Rosenberg (my younger brother’s name is Nathan), who brought this up, as we were leaving the cemetery in Queens, NY. But nothing happened for a long time, for many reasons – some valid, others due to procrastination based on fear, grief, and my lack of confidence in my abilities to undertake such a serious task. It wasn’t until roughly 2011 that I started making some headway to “revive” some of mom’s creative writings, most notably her haiku. I moved forward with baby steps. DP: I'm so glad you took those baby steps, Amy. The end result is a very special book on so many levels. Can you tell us a little bit about the haiku poetry form, and why it was of particular interest to your mother? DP: Oh, that is beautiful. AL: There are some excellent online resources to learn about this rich and layered form: the Haiku Society of America and The Haiku Foundation are two, among many. And there are a number of fine Facebook groups, as well. I don’t know how mom found haiku in the early 1960s. It may be more accurate to say that haiku “found” her. 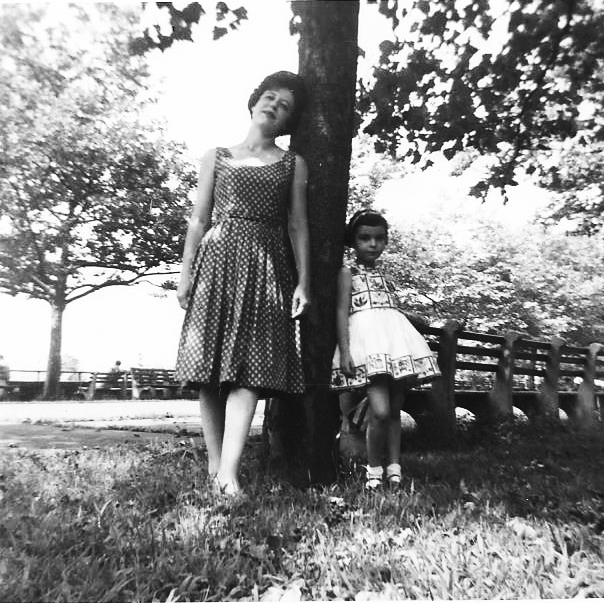 Mom had a restless intellectual and creative sensibility. She “saw” into things with all her senses, in a way which is difficult for me to describe -- and which I truly appreciate today. 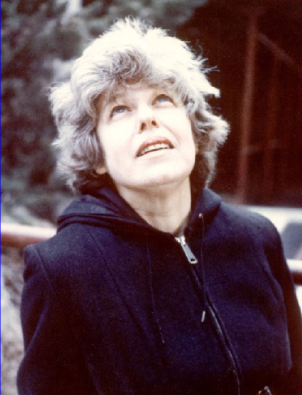 I think haiku – because of its brevity – paradoxically gave her both the structure and freedom she needed to explore and “explain” her views about the world around her. She called haiku “unfussy” but “demanding” in the 1974 anthology, The Haiku Anthology (edited by Cor van den Heuvel; Doubleday Anchor). In 1968, she became a charter member of the Haiku Society of America in New York City. In the early 1970s, for a term, she served as the organization’s secretary. DP: Thank you for all of those resources, Amy. That's really helpful. I hope folks who are interested in learning more about haiku will check them out. Am I correct in my understanding that your mother had written and organized a collection of her haiku poems into an alphabet book manuscript that she had started submitting to publishers before she passed? AL: Yes, correct. Long ago, Syd prepared at least one haiku manuscript for kids, and submitted it to a few publishers (I have some of her rejection letters). She also had other kids’ poetry manuscripts, and I believe she submitted at least one of these to publishers, as well. Mom also wanted children to illustrate her book for a time, if I remember correctly. DP: I think it's wonderful that you've kept some of the rejection letters Syd received related to this work. The thread of persistence that started with your mom and continues with you is really empowering, and the existence of those earlier rejection letters really punctuates that! Thank you so much for sharing this with us. Is there anything special that you’d like to share with us about how you came upon the unpublished manuscript(s)? AL: I knew that these manuscripts existed among her papers and other materials I "inherited." About two years before she died, I asked her what she wanted done with her work when she was gone. 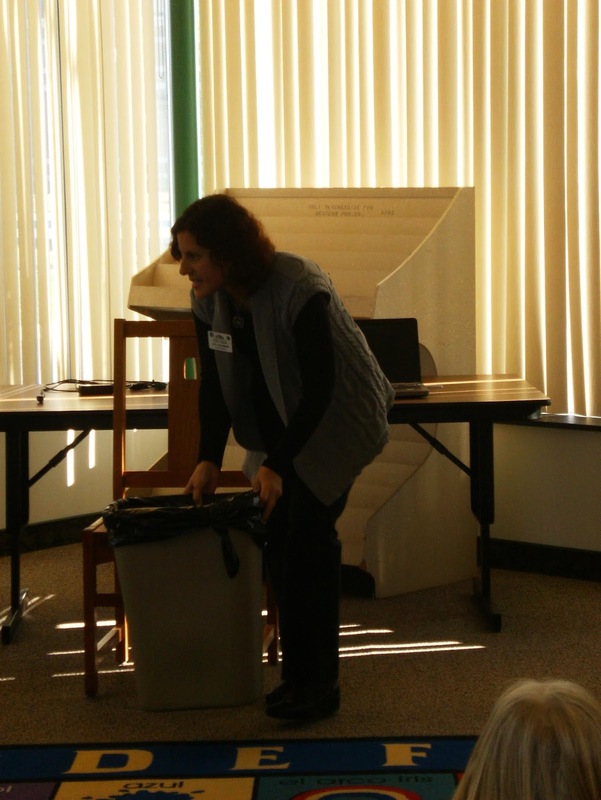 I asked her to organize her materials for me – I needed her help, so I could help her (if this is what she wanted). I didn’t realize it then, but I was planning to be, in a sense, her literary executor. But mom didn’t answer me, and I dropped the issue. She was overwhelmed with caring for my father, Sam, who was much older and suffered from dementia and other ills. She couldn’t focus on this matter. Maybe she thought she would have more time to determine how she wanted her writing legacy to be handled … or maybe it wasn’t that important to her, in the scheme of things. I don’t know what she thought or ultimately wanted, really. After her death, most of her “stuff” was deposited into bins, bags, and baskets, and brought over to our tiny apartment in Queens. Her stuff then made the trip with my husband, Cliff, and me when we moved into a small house in New Jersey. Shortly after her death, I sorted through and got rid of some materials I thought were duplicative or not worth saving. In retrospect, this may have been a mistake. I was so gripped by grief – not to mention overwhelmed with caring for dad and other issues – I probably disposed of materials I should have kept. But there is no going back, and it doesn’t help to have regrets over past decisions. She had so much stuff packed into their apartment. I used the best judgment I could muster at the time. Then, for many years, I could barely look through her things. The pain I felt was almost physical. My continuing grief and fear held me back. But over time, these feelings became their own burden. It’s thanks to the encouragement and support of many people in my life that I was finally able to shake off this weight and start to sort through and review some of her writings, as well as take decisive measures to revive some of them– especially her haiku. DP: I really appreciated the book the first few times I read it, Amy, but it's even more meaningful now that I've learned more about the emotional journey that accompanied you on your path to publication. I'm so glad there were people who provided encouragement and support to help you bring Syd's collection of poems to the pages of a children's book. Thank you so much for sharing this powerful backstory. I am curious if you edited or revised Syd's poems before sending her manuscript out on submission? When you compare your mother’s original manuscript(s) to the finished book, how similar or different are they? AL: Yes, I edited a few poems in the manuscript, and if I remember correctly, I also swapped out a couple of haiku for others she had written that I preferred. I also changed the title. But most of the poems in the book are intact as she had written them – and in some cases, published in journals – decades ago. DP: So, putting it all together, can you recap the timeframe between the initial idea to publish your mother’s work, and the finalized collection of poems that you submitted to publishers and that eventually made their way into the book? AL: As I mentioned above, the idea to fulfill her old dream of publishing a children’s book was broached around the time of her sudden death in 1996. But nothing moved forward for a long time. My own inertia eventually weighed on me terribly. I finally started to mobilize in 2011, but it wasn’t until April of 2015 (which I only realized later is National Poetry Month!) that I finally started to submit H Is For Haiku to publishers. DP: I think it's fabulous that you started submitting this project to publishers during National Poetry Month without even knowing it at the time! I also think it's incredibly inspiring that you found a path through the inertia and were able to bring this longstanding idea to fruition. How did you go about finding a publisher for this project? AL: I took some time to research publishers that are open to unsolicited manuscripts. 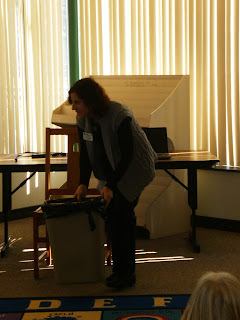 The KidLit community is generous, gracious, and knowledgeable, and I learned a great deal from it. And it was a poetry teacher and editor, Aubrie Cox Warner, who told me about Penny Candy Books. I checked into Penny Candy Books in 2016. I was delighted by the passionate dedication of the principals, Chad Reynolds and Alexis Orgera, and their willingness to take risks with their titles, as well as present opportunities to new and various talents. DP: I couldn't agree more about the KidLit community being generous, gracious, and knowledgeable. I don't know what I'd do without my writing community. Reflecting on the journey from idea to published book, is there any one moment along the way that you credit with opening the door for this collection of poems to find its way to publication? AL: There really have been many moments. I wish to repeat that I’ve been fortunate indeed to have the unfailing support and encouragement of just about everyone around me. This has made all the difference! Aubrie’s suggestion about Penny Candy Books was certainly key, however. DP: It definitely sounds like Aubrie's suggestion led you to the perfect match publisher for this project, Amy. That's so great. Let's shift gears just a bit. What was it like to see your mother’s poems paired with illustrations for the first time? AL: It’s hard to express the magic of that special moment. But I was overjoyed! Sawsan Chalabi is an extraordinary illustrator. The book’s vivid interplay of mom’s poetic text and Sawsan’s art is a decades-old dream come true. DP: The artwork and poems really are a delightful pairing. I'm so happy for you. If you were to use haiku to express the experience of holding your mother’s book in your hands, fulfilling her longtime dream, how might that go? DP: Those are gorgeous, Amy. I find myself reflecting back on Syd's description of haiku from the introduction that you mentioned before: “Haiku is that fledgling moment, when the wing strokes become sure – when the bird has staying power in the air.” How beautiful that you could be the wing strokes that gave your mom's poems staying power in the air. If you could go back in time, what would you tell yourself before embarking on this project? Or, said another way, what do you know now, that you wished you would have known a bit earlier? AL: I would tell myself that it’s OK to be nervous and even to have doubts about embarking on a creative project that’s challenging, novel, and perhaps even strange. This is normal, but it’s important to keep things in perspective. These feelings need not overwhelm to the point of paralysis and panic. I wish I had known sooner to make these feelings work for me, as motivators – rather than against me, as deterrents or barriers. I wish I could go back in time and give myself a pep talk, and maybe a dose of tough love! DP: I think we could all use a little pep talk now and then! What do you think your mother would most like about the finished book? AL: I think Syd would be thrilled about the way her words are interwoven with the art and lettering. This was such an ideal and terrific design choice! Her laughs of joy would reach the moon! DP: That's a beautiful image, Amy. They say a mother’s work is never done…is there anything you learned from your mother, or about your mother, as a result of taking on this project and seeing it through that you’d like to share with us? AP: Thanks to this project, I’ve learned to “see” more deeply and clearly into things. That’s a hallmark of haiku – or any creative endeavor that calls both for focus and flow, of course. I’m a New Yorker, so I’m always in a rush, it seems. Reading my mom’s haiku, other poets’ haiku, and writing my own short poems impel me to slow down and pay attention. It’s a rewarding way to be. And I feel more connected to Syd, as a result. She was a seeker of small adventures …mindful, curious, off-beat. As I’ve gotten older, I’ve become more captivated by her engagement with little slices of life. DP: Thank you for such heartfelt responses throughout this interview, Amy. I've found myself reflecting deeply on what you've shared--as a writer, but also as a daughter, and a mother. Before we wrap up, do you have any new projects in the works that you’d like to tell us about? AP: I have a second haiku picture book manuscript in the works. I’m still “playing” with it, but this one may feature both our haiku! I am daunted (in a good way, this time), but excited. Let’s see where this muse leads! DP: That's great news. I'll be excited to hear more about that project as it develops! Readers, H IS FOR HAIKU is a 2019 Notable Poetry Book (selected by the National Council for Teachers of English), and it was also a 2018 Cybils finalist for a poetry award. So what are you waiting for? 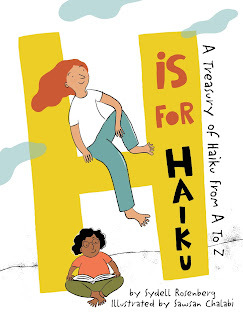 Go get your hands on a copy of H IS FOR HAIKU. I can't think of a better way to celebrate National Poetry Month (April), International Haiku Poetry Day (April 17), and/or Poem in Your Pocket Day (April 18)! And, if you feel inspired, maybe leave a haiku (or any little poem) of your own for all to enjoy in the comments section below! Amy Losak, Syd's daughter, is a New Yorker (Queens) who now lives in Teaneck, New Jersey. A seasoned public relations professional (healthcare, corporate, nonprofit, arts/education, etc. 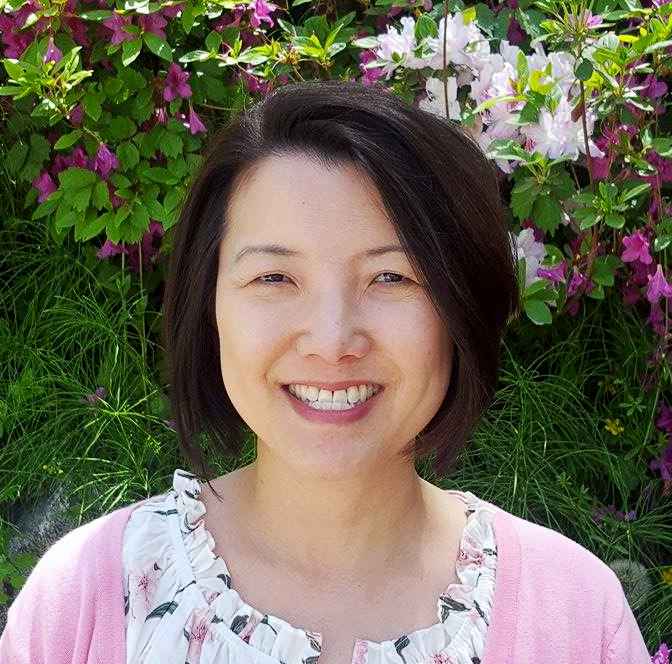 ), Amy spent several years on a mission to revive some of her late mother's literary works--especially her poetry, and most especially, her haiku for kids. Inspired by Syd, Amy now writes short-form poetry, too. Some of her work has been published in print and online journals. Birth Stories for Books is an occasional feature of Dawn Babb Prochovnic's blog. 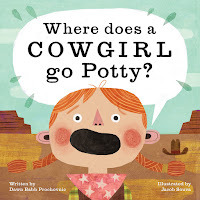 Dawn is the author of multiple picture books including Where Does a Cowgirl Go Potty?, Where Does a Pirate Go Potty? (forthcoming, 2019), and 16 books in the Story Time With Signs & Rhymes series. Dawn is a contributing author to Oregon Reads Aloud and a frequent presenter at schools, libraries, and educational conferences. Contact Dawn using the form at the left, or learn more at www.dawnprochovnic.com. 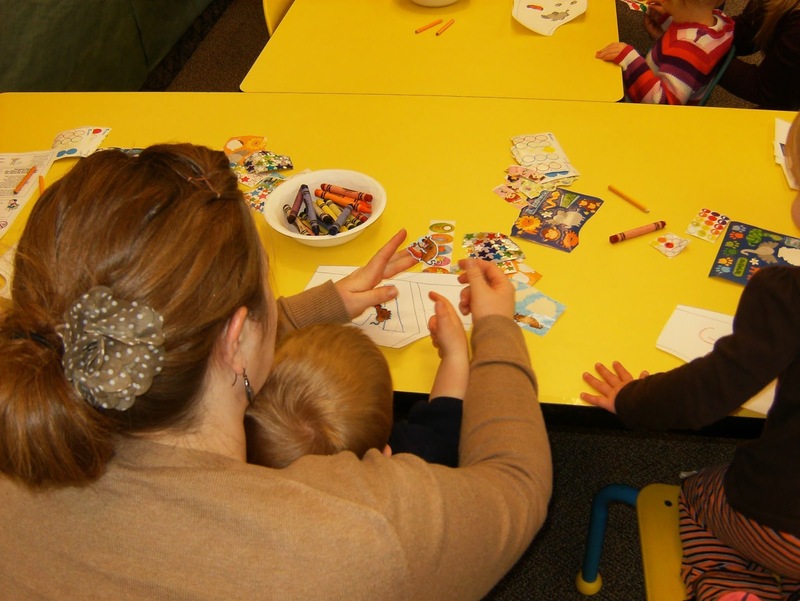 One of my most popular series of blog posts is the "Start to Finish Story Time” series that provides ”start to finish" lesson plans for sign language story time programs incorporating themes from my "Story Time with Signs & Rhymes" books. With new books coming out, I decided to create a new, expanded version of this series to provide links to lesson plans and resources for cowgirl, pirate, and potty-themed story time/event plans, and to provide links to story time/event plans written by other authors who have contributed guest posts to my blog. Over time, I will develop a variety of themed story time lesson plans and resources that tie into my latest books and interests. 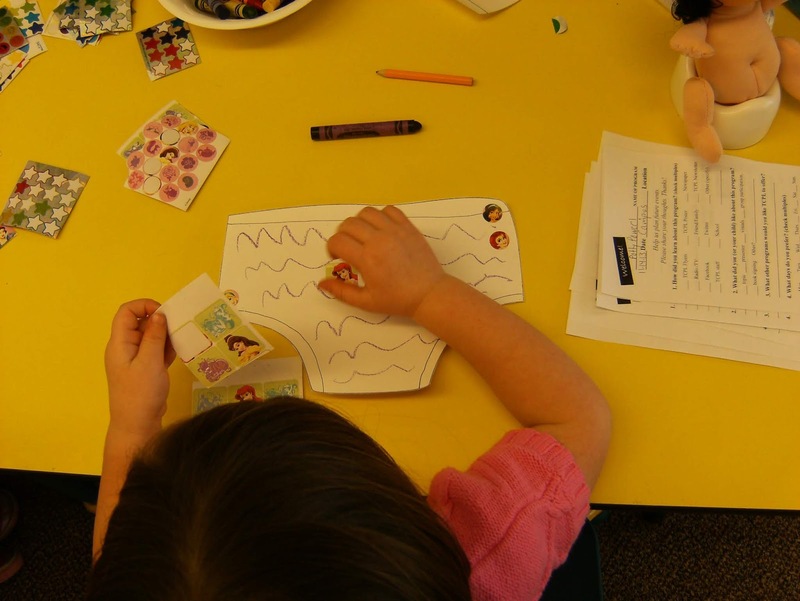 You’ll want to bookmark this post, as new lesson plans and resources will be added regularly. If you like this series, you might also like the Ideas for Incorporating Alphabet Signs into Your Story Time series, and the original Start to Finish Story Time series (an oldie, but a goodie). 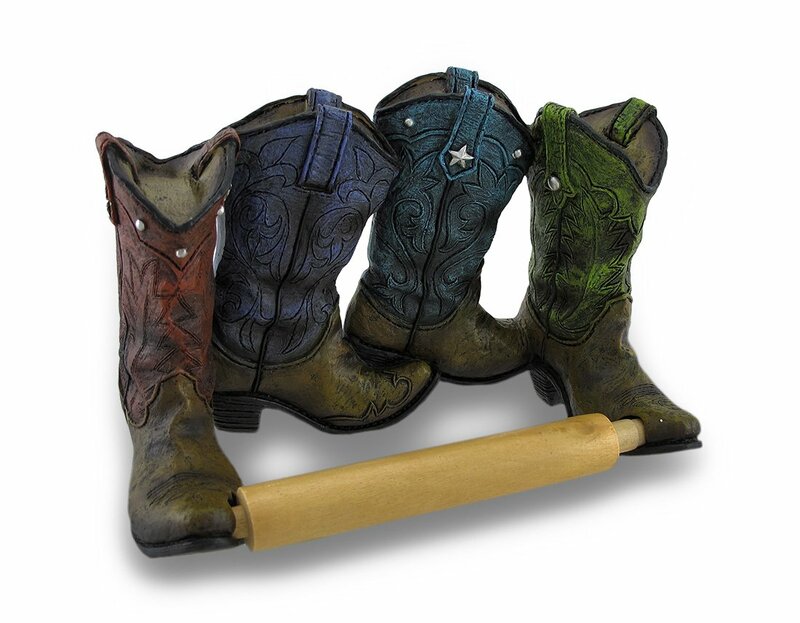 And, if you’d like to contribute a post to this series, or a link to a cowgirl, pirate, or potty-themed post from another blog, please get in touch via the comments or the contact form. 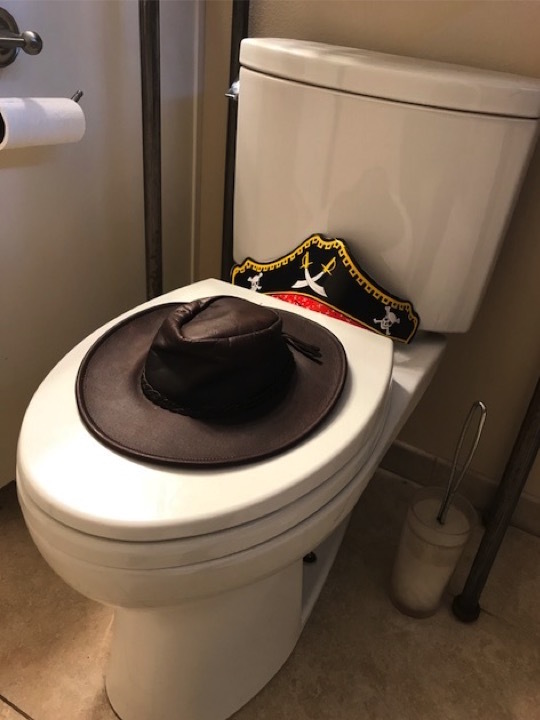 Labels: Activity Ideas, Books, Early Literacy, Lesson Plans, Potty Books, Potty Humor, Resources, Start to Finish Story Time, Story Time Event Planning, Where Does a Cowgirl Go Potty?, Where Does a Pirate Go Potty? 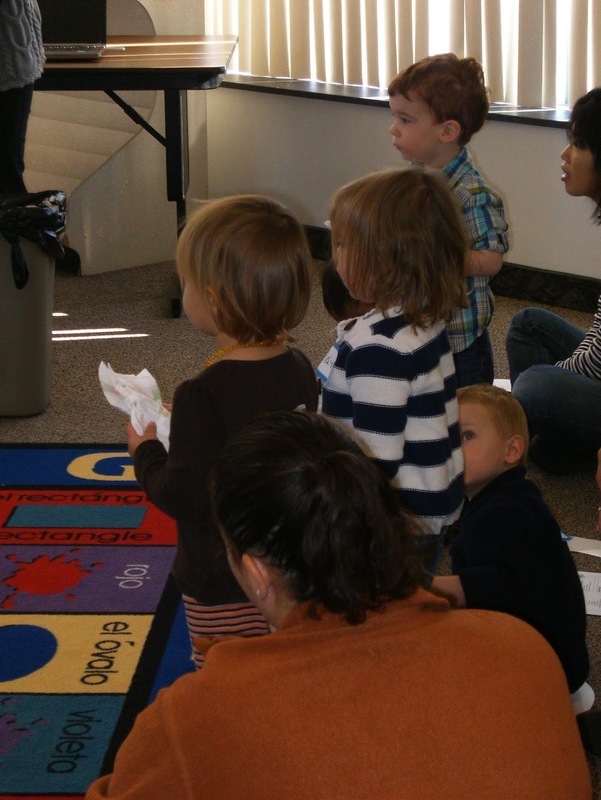 One of the most popular features on my blog is the Start to Finish Story Time series, where I share lesson plans for story time programs related to my sign language books. 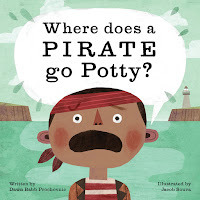 I also have a series of lesson plans for alphabet-related story time programs, and I'm in the process of developing and gathering story time lesson plans related to pirates, cowgirls, and potty-humor to align with my forthcoming humorous picture books, Where Does a Pirate Go Potty? 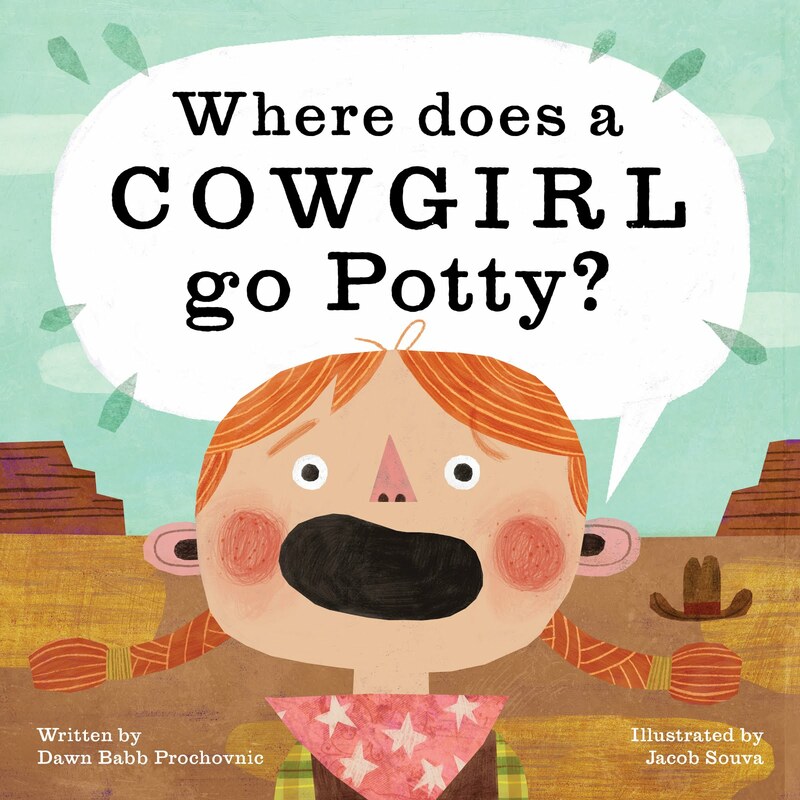 and Where Does a Cowgirl Go Potty? (NOTE: I'm still seeking contributors for this series, so please reach out to me via email, social media or the contact form at the left if you are interested in participating as a contributor). 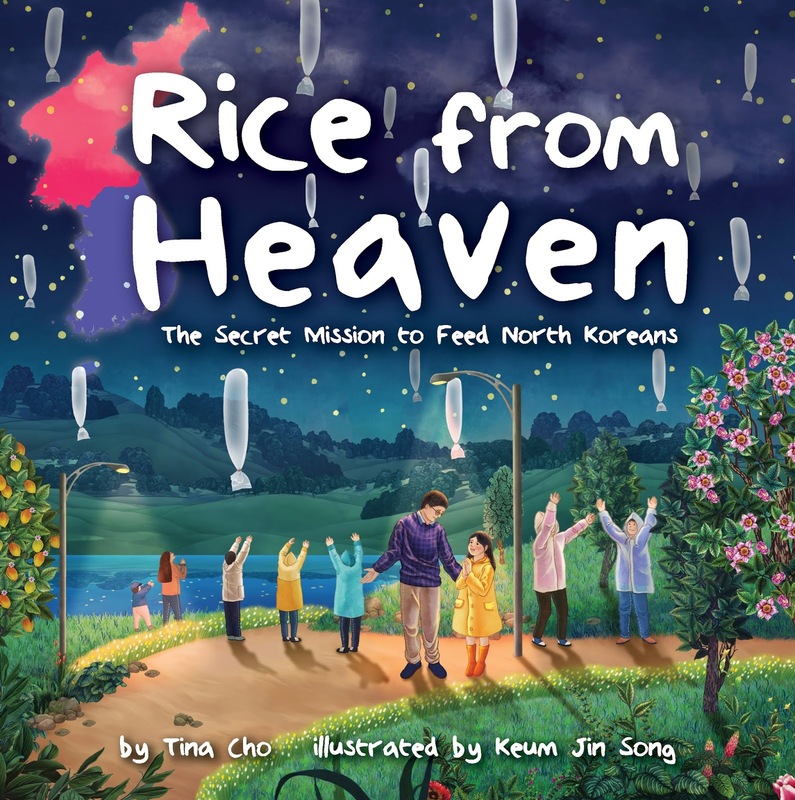 This week's post expands on the Start to Finish Story Time series, providing a story time lesson plan by guest author, Tina Cho, for her book, RICE FROM HEAVEN: The Secret Mission to Feed North Koreans (illustrated by Keum Jin Song, little bee books, 2018). RICE FROM HEAVEN is a beautiful book about compassion and kindness. 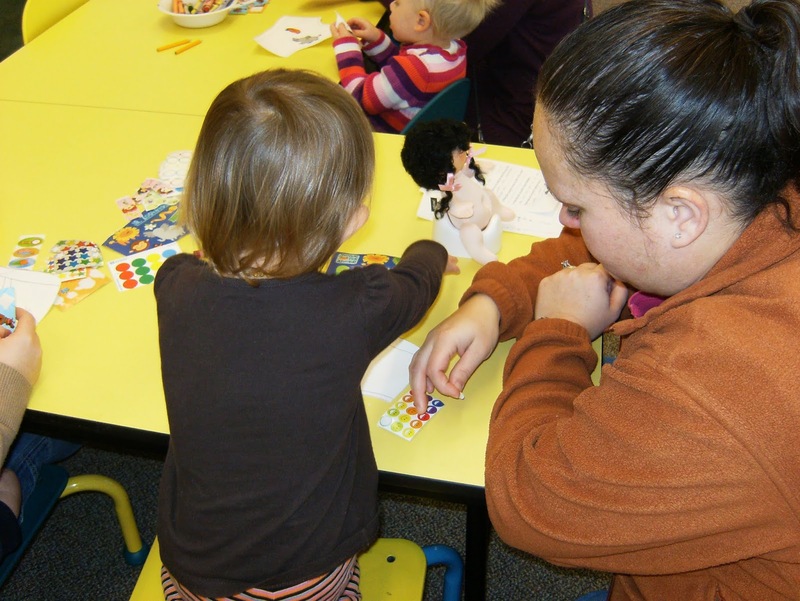 If you are a classroom teacher, youth librarian, after school activities coordinator, parent that home schools, or a parent or caregiver looking for opportunities to extend and enrich learning experiences through books, then this post is for you. This would be an ideal book to share in observance of "Good Deeds Day," which falls on April 7th this year. Thank you, Dawn, for inviting me to your blog. You have some interesting series here. 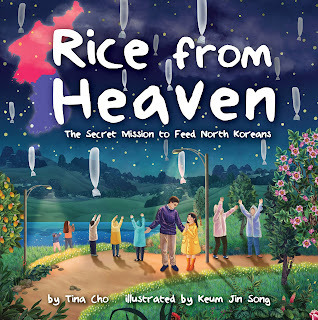 My picture book Rice from Heaven: The Secret Mission to Feed North Koreans came out last August 2018 published by little bee books/Bonnier Publishing. Since then, I’ve been able to do some school visits and Skype/Google Hangout visits with classes around the world. 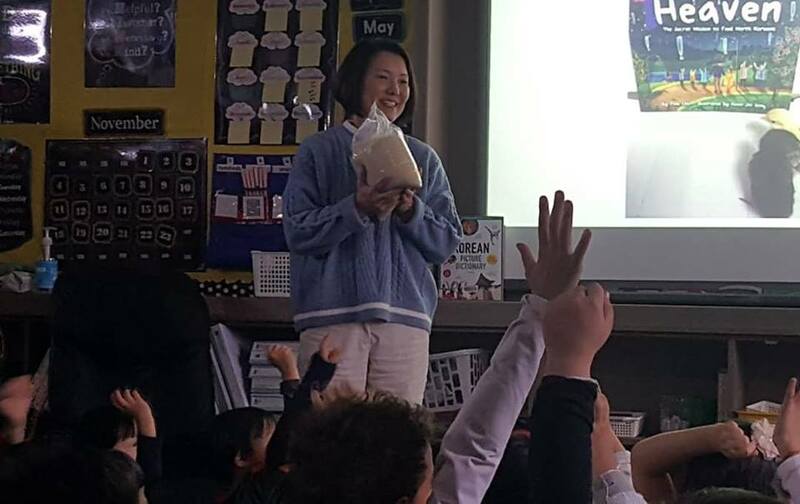 My picture book is based on a true event which I helped with; however, I fictionalized the story to protect North Korean refugees involved and to adapt it more for kids. Rice from Heaven can be used with many age levels. One mom told me she read it to her two-year-old son who loved the unique balloons. Middle school teachers have told me they have read it to their classes. And of course, elementary aged children have read and interacted with the book. 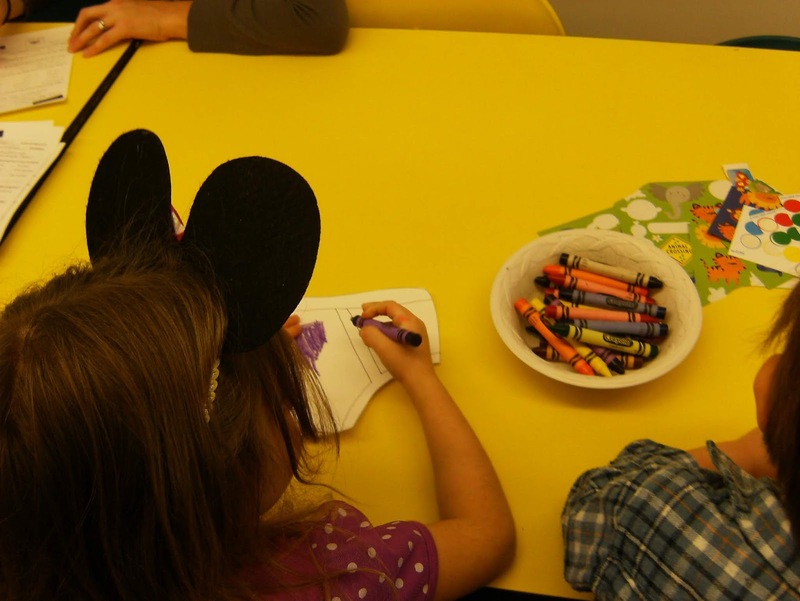 Throughout this post, I’ll share how you can differentiate the book and activities for different age groups. Before reading the book, it’s helpful to share the book’s back story plus information on North Korea. I like to begin by showing the kids a close-up photo of a rice field. You can google one. I’m lucky as we have rice fields right across the street from my school. Many kids don’t know what this rice plant is and will more likely say wheat. Then I tell them that in South Korea and other countries of Asia, the main crop or staple food is rice. Share the map of North and South Korea. Have them locate each. Depending on the age level, I briefly state that long ago there was a war that separated the two countries. North Korea is communist with a mean leader, and South Korea is a free country like the U.S. and has a president. Again, depending on the age group, you can go into more detail of some atrocities of North Korea. It might be suffice to say that people, children, in North Korea are starving because of famine, their poor living conditions, and a communist state of government. I show them the river that separates North Korea from China. I tell them some North Koreans hear about freedom in the rest of the world. They want food. They want freedom and cross the river into China and then on to safe places. If they are caught, they are returned to North Korea where they will be put into a prison camp/concentration camp. In the city of Seoul, the capital of South Korea, is a church for North Korean refugees. The pastor is North Korean and escaped many years ago. These refugees still have family living in North Korea. They save money and buy rice to send up in huge hydrogen balloons. They wait for a rainy day because a stormy day brings winds to carry the balloons over the mountains to North Korea. They hope families will find the rice and eat it. If soldiers shoot the balloons down, they will most likely keep the rice for themselves. On May 2, 2016, I participated in this rice balloon event. A week later I wrote the first draft of Rice from Heaven. Two years later, it was published. At the end or throughout the book, you can take questions and answers from the kids. I also like to demonstrate how heavy six pounds of rice feels. I tell them it’s equivalent to a six-pound bowling ball. I bring a six-pound bag of rice and let them feel it. If you have an Asian grocery store, you might be able to do the same or just find something that weighs six pounds. The following craft was developed by my good friend Laura Baker Moon. Children can make a little model of the balloon and write their wish or prayer for North Korean children. I pass out the bags, yarn, and paper to each child. Then I show them how to “swish” the bag in the air and close it tightly real fast to “catch the air.” We twist the end and tie it with the yarn. (I feel this is safer to do than having them blow into the bag.) Kindergartners through 5th graders have done this activity with me. Next you can have them write a wish or prayer for North Korean children. 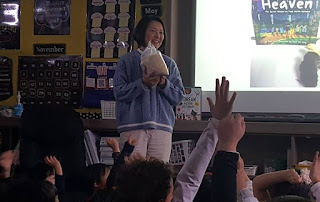 After reading the book, children usually feel compassion as they learn some North Korean children eat once a day, have eaten grass and bark, or nothing at all. For those who can’t write, they can draw and color a picture of something they wish to send to North Korean children. 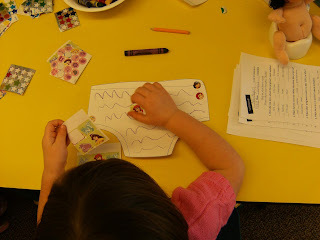 I also give a prompt on the board like “I wish … or I pray…” Then using the same yarn, tie the card onto the balloon. If you want to be creative, you can prepare heart-shaped note cards or pretty stationery/cutouts. Two schools I spoke at hung these balloons from the hallway ceiling. It’s an awesome reminder to think about North Korean children and others less fortunate. 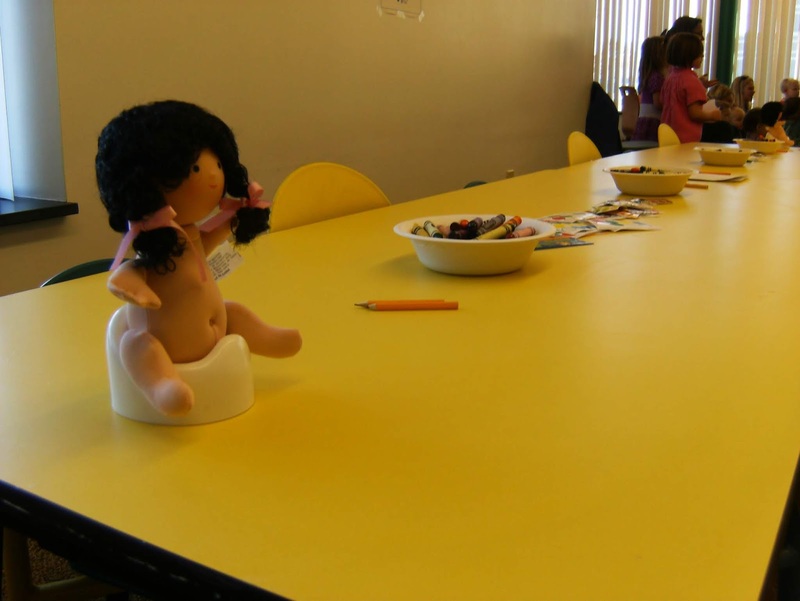 If you don’t want to hang them from the ceiling, you can tape the balloons to a black piece of construction paper. Have the kids draw white clouds and rain to show the rainy night. At the bottom of the paper, they can write the title of the book, or you can print labels and attach. You can hang these up in the room or send them home to share with parents. If you want a snack to go with the book, how about something made from rice? Rice Krispy bars, rice cakes, Korean kimbap (looks like sushi rolls but no fish), or simply steamed rice? Students and parents have told me they loved my book and couldn’t stop talking about what they learned about North Korea. Teachers said it really opened their students’ eyes. I tell students that they, too, can write about their experiences of being kind and caring for others. If I can do it, so can they. I also have two different teacher guides on my website. If you’d like me to do a Google Hangout with your class, please email me. I show slides and a short clip of the real event and tell real stories from North Korean refugees I’ve met. Thank you, Tina! This is a such a helpful resource for parents, teachers, librarians and other community educators who want to enrich the learning experience when they share your meaningful book with the children in their lives. Readers, you can find more Start to Finish Story Time lesson plans at this link. Start to Finish Story Time and Start to Finish Story Time, Expanded are occasional features of Dawn Babb Prochovnic's blog. 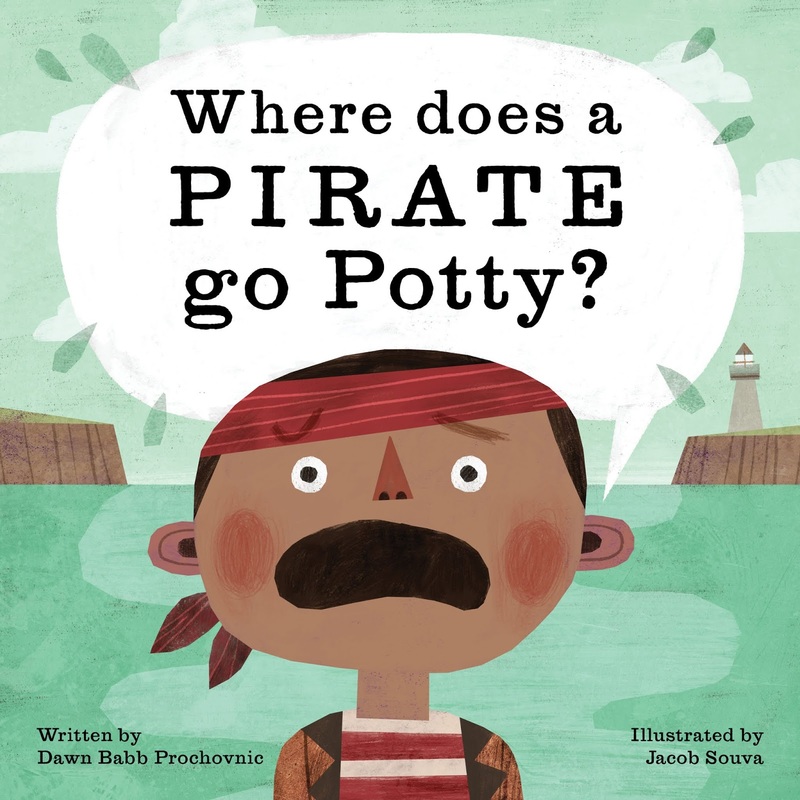 Dawn is the author of multiple picture books including Where Does a Cowgirl Go Potty?, Where Does a Pirate Go Potty? 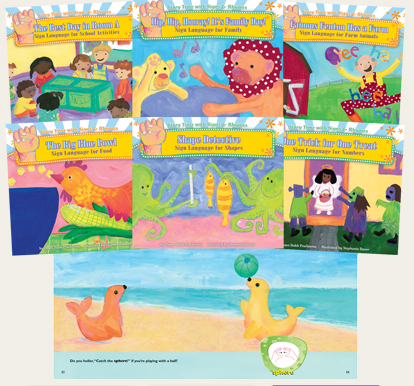 (forthcoming, 2019), and 16 books in the Story Time With Signs & Rhymes series. 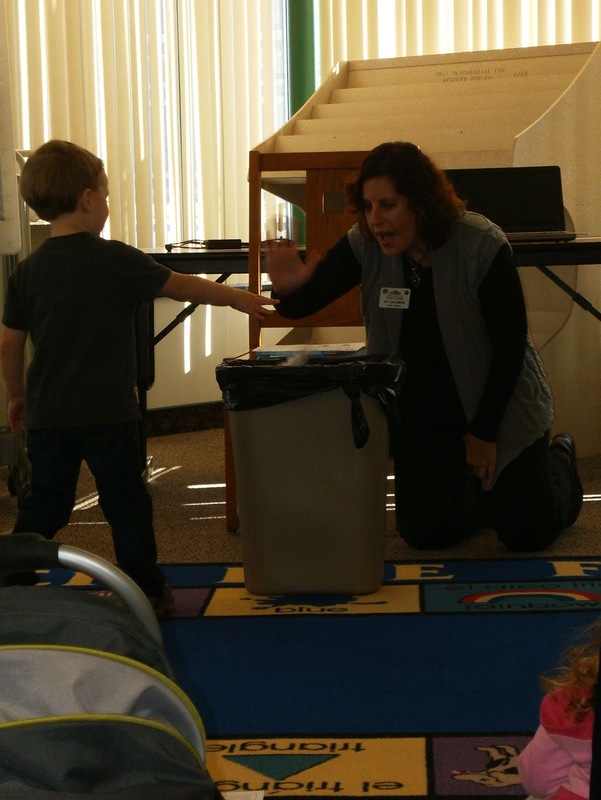 Dawn is a contributing author to Oregon Reads Aloud and a frequent presenter at schools, libraries, and educational conferences. Contact Dawn using the form at the left, or learn more at www.dawnprochovnic.com.